If you are looking to buy a used BMW, there are a few common BMW problems that you should look out for. After you review this list, don't be discouraged from buying a used BMW. These cars can be reliable and fun to drive and own, especially when properly maintained. Keep in mind that not all problems affect all BMW models. Here is our list of the most common BMW problems. BMW uses plastic fittings on various components of the cooling system. Over time the plastic pieces become brittle and fail. The good news is that aftermarket parts that are made from better materials such as aluminum are available to fix these common BMW problems. In the early 2000s, BMW introduced the battery safety terminal sensor or also known as the BST. The BST is designed to disconnect positive cable if the BMW gets involved in an accident. This design is a great idea which can potentially reduce fires and even save lives. The problem with BST is that it will disconnect the battery during minor impacts such as hitting a curb. This can prevent a BMW from starting because the alternator and starter get disconnected at the battery positive terminal. This BMW problem will trigger BMW airbag light which then requires a BMW specific scanner to clear the codes. It used to cost over $500 to fix BMW BST sensor. Fortunately for BMW owners Battery Safety Terminal Kit can be used to fix this problem. To learn how to fix BMW BST problem follow this guide. The differential may develop a leak over time. This is often to a worn out seal for the input shaft. To fix this problem you need to remove the driveshaft. Once the driveshaft has been removed you can remove the input shaft from the differential. This allows you to remove the old seal and install the new one. You will need to drain the differential to perform this repair. This is a good time to replace the rear differential fluid as well. Typically this repair takes about two hours and the parts are quite inexpensive. The hood supports on BMWs can fail. The hood will no longer stay up. This is a problem on older BMW. usually over 8-year-old cars. Replacing the hood supports is easy and takes about 15 minutes. Follow this guide to learn how to replace BMW hood support. While the seats on BMW hold better than Mercedes-Benz seats it is the buttons for the windows and control that tend to wear too early on BMW. You can probably live with this issue. This is kind of a superficial problem right, so let's move on to some real BMW problems. We frequently see BMW where the airbag light stays constantly on. The problem is often the passenger seat weight sensor or the clock spring. The airbag light comes on for a few seconds on startup and turns off after that. If the light constantly stays on the air bags may not deploy in case of an accident. You will also get a warning on the iDrive display stating that there is a fault in the restraint system. To read the codes and clear the airbag light you will need a scanner that can clear BMW airbag light such as Foxwell NT510 or iCarsoft BMII. Both are capable of reading and clearing the airbag light. Follow this guide to learn how to troubleshoot BMW airbag light problems. VANOS stands for Variable Nockenwellen Steuerung. The variable valve timing system often referred to as VANOS can cause the famous engine rattle noises. Often this is described as marbles in a tin can. VANOS varies the timing of the valves by modifying the position of the camshafts. VANOS rattle is an engine noise coming from the engine typically at higher RPMs. At idle the engine sounds normal. Rev up the RPMs and you start to hear the noise. As you lower the RPMs, the noise goes away. At the early stages, the noise is not that loud but eventually, with more VANOS wear the noise gets worse. Replacing the VANOS isn't as expensive as it sounds. Especially if you plan on doing the work yourself. Repair can vary between $400 - $650 at most BMW mechanic shops or under $150 if you can tackle the job yourself. It can take anywhere from two to four hours to replace BMW VANOS. The instrument cluster pixels may not display correctly or they can fail completely. Numbers for mileage on the instrument cluster may fail to show for example. This is caused by a bad LCD or ribbons that connect to the circuit board. You may also notice the odometer screen pulsating or going totally off. You don't need to buy a new cluster or climate control module to fix this problem as there are online services that allow you to send them your unit. They fix it and send it back to you typically within a week. This is a lot cheaper than buying a new cluster or climate control from the dealer. At the BMW dealership, you will spend over $800 for a new cluster, a repair service runs about $100-$150 and should last you at least five more years or more. Instead of replacing the instrument cluster which can be very expensive, use a BMW Pixel Repair Service that will repair your existing cluster. BMW have fantastic sound system compared to most cars, until the iDrive fails. One problem that we see on BMW cars is the iDrive keep on rebooting. This is not the most common BMW problem, but we included it here because it is an expensive one. At the BMW dealership, this repair costs upwards of $1000. To fix this problem requires that the iDrive be removed and replaced in most cases even though a software update may fix certain problems. If you have this problem consider getting a used iDrive online and replace it. A lot cheaper than getting a new CCC iDrive from the dealer. We often see BMW cars where the door locks have stopped working. 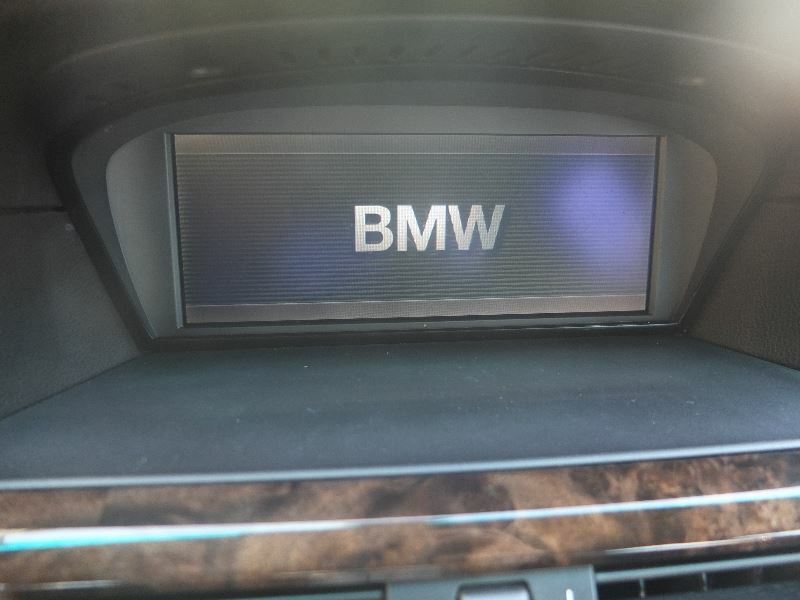 If you are in the market to buy a user BMW, this should be very easy for you to check. Stay 10 feet from the BMW and press the lock/unlock button. Do all the door lock? Test the door locks by using the button on the center console as well. Make sure that all of the doors locks work properly. Typically just one of the door lock fails to operate. If you are test driving a ten-year-old BMW, you will quickly notice a few cabin noises. Items such as seats start to squeak especially on high mileage BMW. Even the steering wheel buttons, central armrest, ashtray, and other plastic interior parts start to squeak and rattle over time. All these problems can be easily fixed unless you don't care about squeaks and can live with such noises. Read this article to learn about common components that cause BMW rattle noises. Every car manufacturer struggles to design reliable window regulators and BMW is no exception. Not all BMW suffer from window regulator problems, but models such as BMW 3-series E46 is notorious for such problems. The regulator plastic clips break, and the windows fail to move up and down. At first the window may move very slow, but eventually, the regulator or the window motor will fail completely. This isn't a very expensive fix if you have some basic DIY skills. Having the dealer fix your BMW window regulator can cost you over $300, but the DIY cost is typically under $100. BMW thermostats can fail and cause engine overheating. This is the most critical and common way that BMW thermostats fail. But what often goes un-noticed is that the BMW thermostat may also fail in the open position. When this does happen, the engine takes a long time to warm up. So pay attention to the temperature gauge (if you have one). If you have to replace the thermostat and your BMW has over 100k miles and an original water pump, you should consider replacing both of these items at the same time. The thermostat itself is an inexpensive part and can be purchased online. Certain BMW models may develop lifter noise especially at start up. This a common problem that you will notice on cars that get a lot of City driving or short trips. BMW cars use hydraulic lifters that are oil filled. The lifters may wear prematurely due to the quality of oil or a lot of short trips. During short trips, the BMW engine doesn't get enough time to warm up to normal operating temperature. If you hear a loud clank, clank, clank noise when the engine starts up or when it is idling, then you shouldn't assume this is a lifer noise but see a mechanic to diagnose your BMW properly. While ignition coils should last well over 100k miles, we often see BMW with bad igntion coils with as early as 60,000 miles. We just fixed a BMW 5-series E60 with a failed coil on cylinder two. When one of the ignition coils fail, the check engine light turns on and the engine will start to misfire. You will notice hesitation and engine shaking or vibrations. In our case, we also noticed that the catalytic converter was glowing red due to unburned fuel going into the exhaust. Coils are very easy to replace, and you can definitively do this repair yourself if you the type of person doesn't mind getting their hands dirty. We have posted an article on the YOUCANIC.com/BMW page on how to change the ignition coil on a BMW. BMW have their fair share of electrical problems. At least they aren't quite as bad as VW. Common problems include wipers, turn signal, CCC iDrive, cooling fan running all the time and more. These problems vary depending on the BMW series. If you plan on buying a BMW make sure you have a repair shop in your area that specializes in BMW repairs. Just in case you need help troubleshooting electrical problems. The blower motor for the A/C fail. Your climate control buttons work fine except that they do nothing. There is no air coming out of the vents. Unfortunately, you will see a lot of BMW where the blower fan motor fails. Note that another reason why the blower fan may stop working is due to a defective blower fan resistor. Consider replacing them both at the same time to avoid having to do the same repair in the future. To replace the blower fan motor and resistor yourself you will need to spend between $200 -$300 in parts. Definitively a job that you can do on your own. The blower fan is behind the glove box. The main drawback is that there isn't much room to allow your hands to move freely. BMW has been one of the first and few manufacturers that use an electrical water pump. While your Honda, Toyota and even Mercedes-Benz and Audi use a water pump that is driven by a belt, BMW decided to reinvent the wheel and use an electrical water pump. This helps with keeping the engine noises down, and also it doesn't rob power from the engine. The water pump has its own electrical motor. BMW electrical water pumps tend to fail. The water pump may fail as early a 60,000 miles. Replacing the water pump can cost you upwards of $500 USD to replace. Replacing the water pump is a labor intensive job. When it comes to the water pump on a BMW, this is where you have to stop and think if you have what it takes to do it yourself or if you should let a BMW mechanic replace it for you. You should consider replacing the thermostat at the same time as they also tend to fail and are a common BMW problem. The water pump itself is much less expensive when you buy it online versus when you buy it at the dealer. One of the most common problems BMW owners experience is the check engine light on. You don't need to panic at least until you read the fault codes. The reason can be as simple as a bad fuel cap or a transmission stuck in limp mode. Don't guess on the possible problem if your check engine light is on. Grab an OBD-II scanner and plug it into the port found right under the dashboard. It's on the left side near the hood release. Once you get a P0000 code, you will have a better idea of what's wrong with your BMW. We hope that you found our list helpful. This is an overview of the most common BMW problems that you need to know before buying a used BMW. Make sure to research the problems of BMW series of the specific model you are interested especially the engine and transmission issues. Keep these things in mind if you plan on buying a BMW. Most of the common BMW problems we list in this article can be fixed by you, right on your driveway. Contrary to what most people think, genuine BMW parts don't cost any more than Honda, Mazda or Lexus parts when purchased online. Make sure you research the BMW model carefully. Certain BMW series are more reliable than other. Don't be discouraged by other voices that tell you don't buy a BMW. The most important things is that you take time to research and understand what you are buying. How about oil leaks and radiator failure? Good points, both are common problems on many BMW models. Valve cover leaks are a quite common problem in these cars as well.